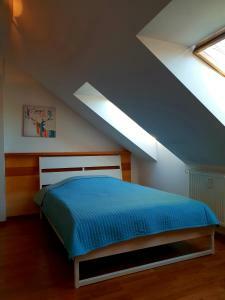 Very clean, warm and quite apartment, near the metro, trams, buses and shopping center. The apartment had everything man would potentially need including oven, fridge, microwave, dishwasher, washer machine with dryer, towels etc. 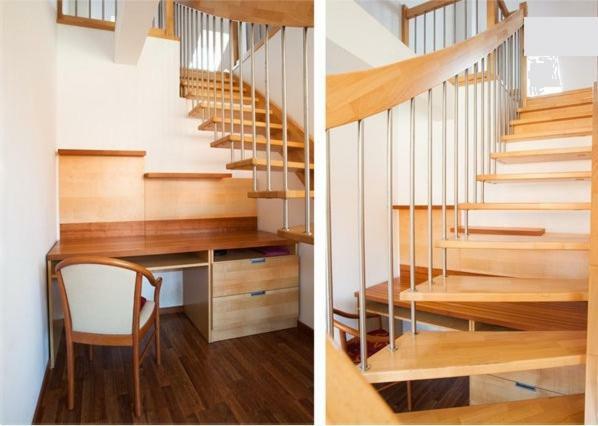 The stile and furnitures of this apartment were great. I recommend this place to everyone who is going to Prague. The location was great, great access to public transportation, the mall and not far from the old town. The apartment was spacious, big rooms, comfortable, kitchen was well equipped, as well there were toiletries and other things I did not expect to have. - The key was easy to collect and drop off, Yana was a friendly and helpful host. I booked this properly quite spontaneously as another booking on Airbnb fell through last minute. -The location is great, close to public transports, walking distance to the river, old parts of town and a lot of shops and cafes. Good location very close to tram and metro. Apartment was clean and comfortable and Yana was a great host who gave us lots of information. Nós gostamos da localização, perto de tudo, pontos turísticos e shopping, mercado, restaurantes. Lock in a great price for Europa Apartments – rated 8.3 by recent guests! Europa Apartments This rating is a reflection of how the property compares to the industry standard when it comes to price, facilities and services available. It's based on a self-evaluation by the property. Use this rating to help choose your stay! 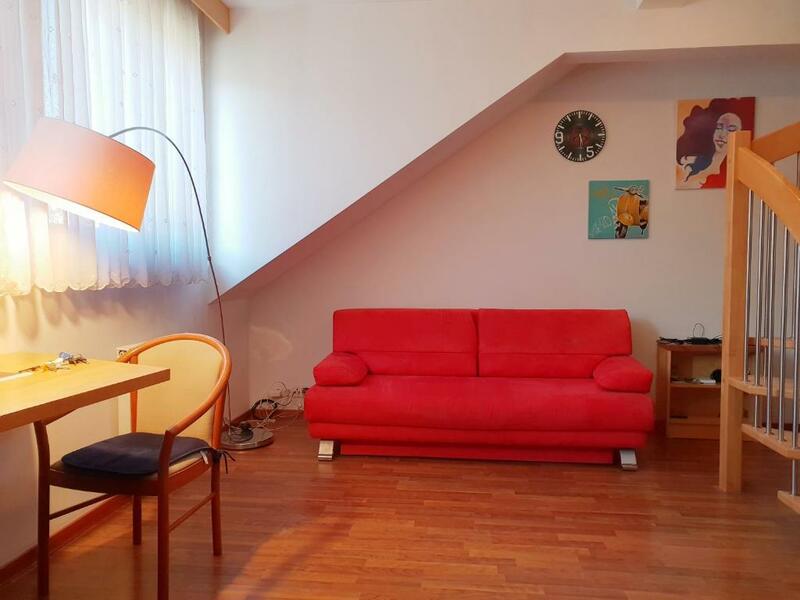 Located in Prague’s center, a 2-minute walk from the Anděl Metro and Tram Station and a 10-minute tram ride from the Prague Castle and the Old Town Square, Europa Apartment offers amenities like free WiFi. 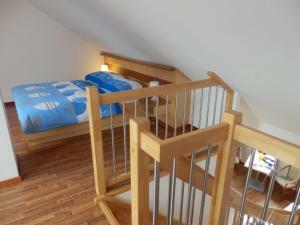 Bed linen, towels and free WiFi are provided. The closest supermarkets, a shopping center, and restaurants are all within 150 feet of the apartment house. The Vyšehrad Castle is a 5-minute tram ride away and within 4 minutes by metro, guests can reach the Wenceslas Square. You can park for free on the street during weekends and at night. Alternatively, paid parking is available upon request for an additional surcharge. When would you like to stay at Europa Apartments? Apartment with 2 floors consisting of a living room with a sofa bed, a kitchenette, a dining area, a bedroom, and a bathroom with a shower. This apartment features a kitchenette, a dining area, a bedroom with night tables, a chest drawers and a spacious wardrobe, an LCD TV, wooden floors and a washing machine. This apartment is located on Karla Engliše Street 3221/2. The apartment has a fully equipped kitchen with a dining area, as well as a living room with a double sofa-bed and 2 single sofa beds, and a bedroom with a double bed. Parking space is possible for extra cost of EUR 15 per day upon request. House Rules Europa Apartments takes special requests – add in the next step! Europa Apartments accepts these cards and reserves the right to temporarily hold an amount prior to arrival. Please note that the property has no reception. Please contact the property in advance for check-in arrangements [keys can be gathered in front of the apartment]. Please inform Europa Apartments of your expected arrival time in advance. You can use the Special Requests box when booking, or contact the property directly using the contact details in your confirmation. The apartment os too hot even in setember. The convertible bed(coach ) was very unconfortable. Location and check in are ok. The apartment needs renovation. AC not working or no remote to it at all. TV not working. Internet a lot slow. Nice communication with the host. the woman charged me at an exchange rate of 16 to the euro and the exchange rate is 26. it cost me roughly 55 pounds more than advertised on your booking. i didn't realise until i was checking out. it was very poor.